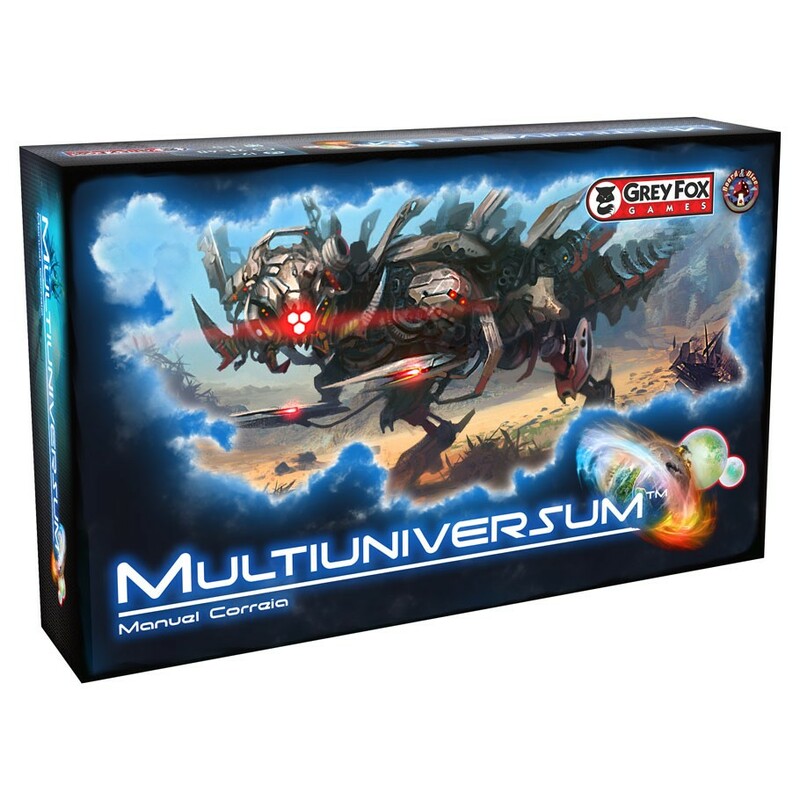 Multiuniversem is a 1-5 players card game where players take on the roles of scientists trying to close down gateways to other dimensions after a secret project malfunctions. Players need to cleverly use cards as both actions and tools to seal portals. 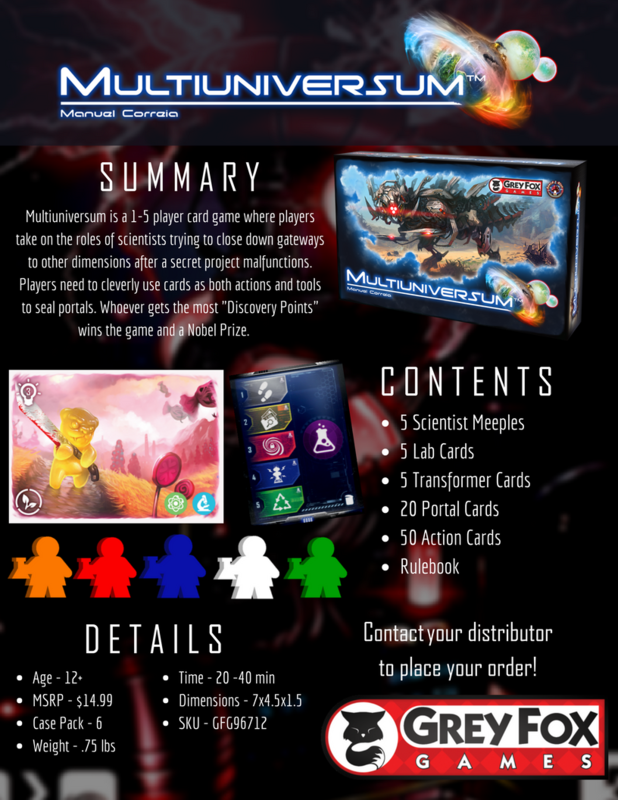 Whoever gets the most "Discovery Points" wins the game and a Nobel Prize.